If you're looking for a basic shed that does the job then look no further than our superb range of overlap sheds. The designs in this range are inexpensive but still have that rustic and traditional look – making one of these an essential addition to your garden storage. If it's a cheap shed that you want, but you don't want to compromise on quality then don't worry – all of our sheds are made from real wood. To make the shed panels we use slow grown pine, which is incredibly strong and durable and we only use FSC certified wood that has been sourced from ethical forests. 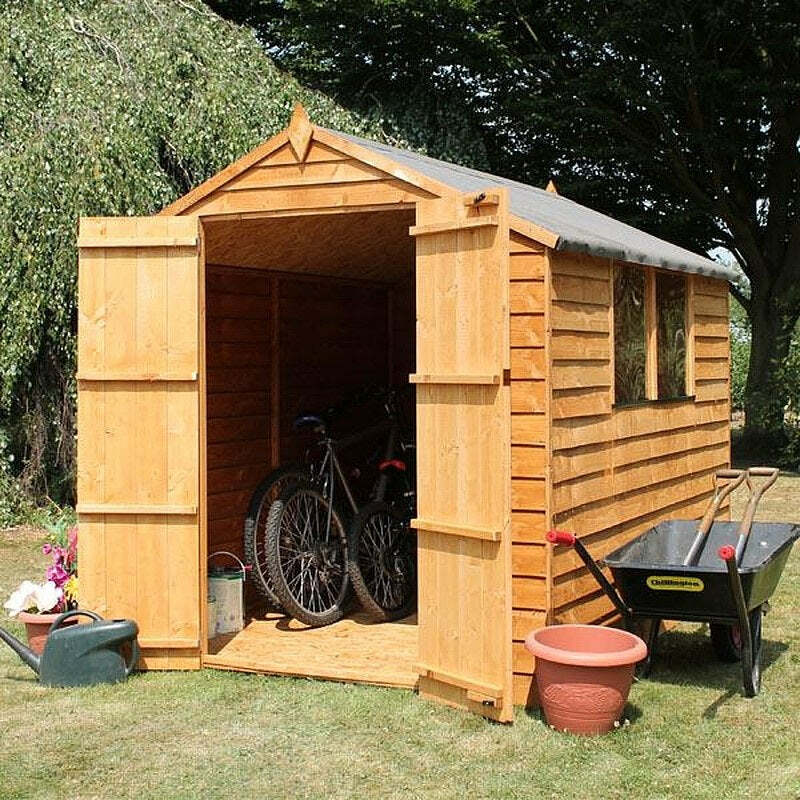 All of our sheds, including our wooden pine range, come with a ten-year anti rot guarantee. Looking to build a shed but new to DIY? You can relax! All of our sheds come with full instructions and are delivered to you in panel form – just like flat packed furniture! Take a look at our installation FAQs to find out more about building your own shed, there are also some step-by-step video tutorials to make it easier than ever. Just keep in mind that you will need to provide a good shed base so that your new shed can live a long and happy life!